Use the comfort of the Psalms in your next quilt to comfort someone special in your life. Natural or white fabric with black print quilt panel. 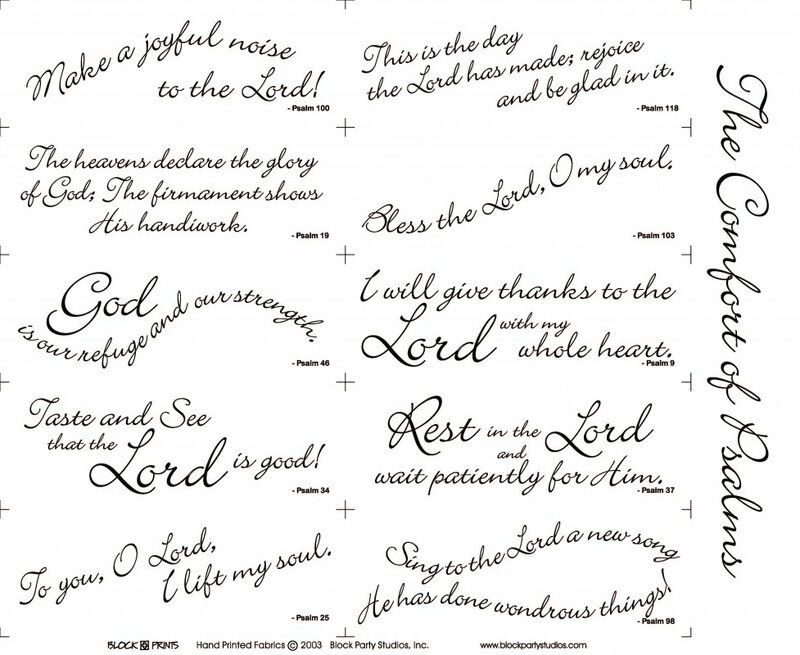 The original Comfort of Psalms panel has ten sayings. A few examples of the verses are: "The heavens declare the glory of God; The firmaments shows His handiworks", "God is our refuge and our strength", and "The is the day the Lord has made; rejoice and be glad in it." Rectangles finish to 3" x 9".